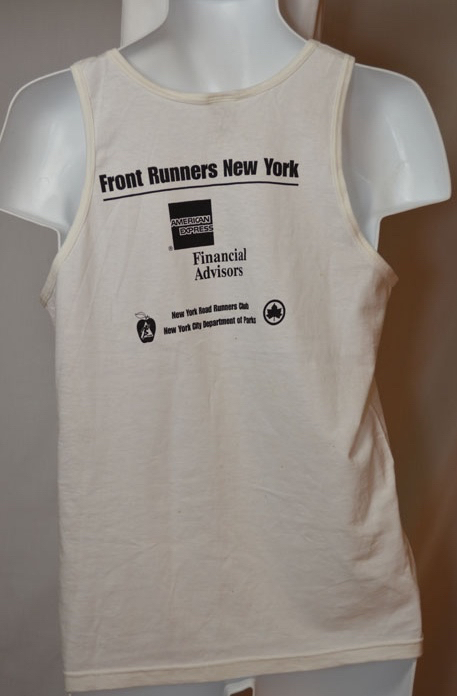 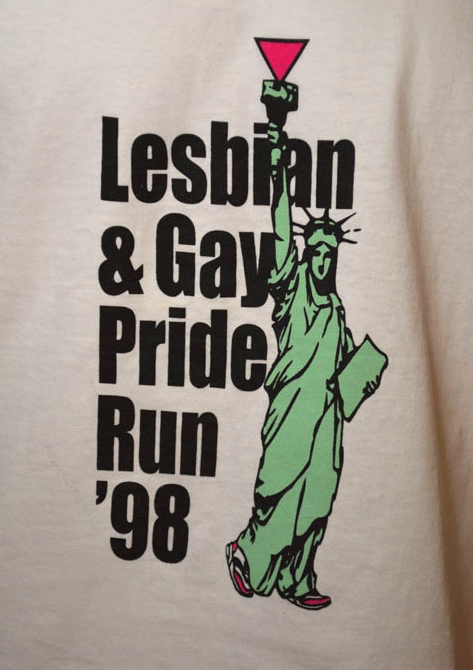 Front: "Lesbian & Gay Pride Run '98" Back: "Front Runners New York / American Express Financial / New York Runners Club / New York City Department of Parks"
Front: Statue of Liberty with running shoes + black text. 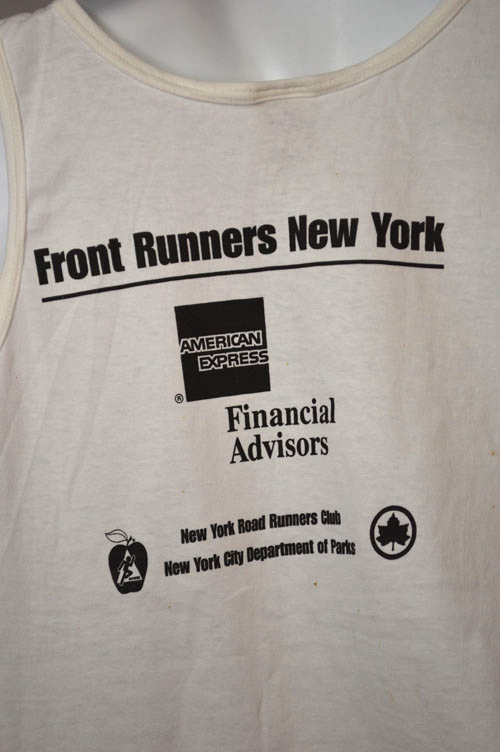 Back: Black text + logos. 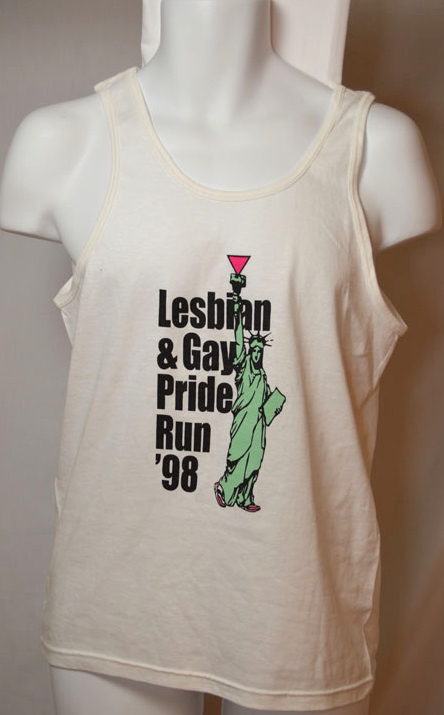 “Lesbian & Gay Pride Run '98,” Wearing Gay History, accessed April 19, 2019, http://wearinggayhistory.com/items/show/4141.